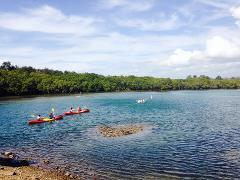 kayaks and paddles, and transport you to the shores of Cabarita Lake. the lake and wind your way down along the creek to Kingscliff. if you’re really lucky – the occasional family of dolphins. Guru’s Red Tent HQ at Kingscliff Bridge. This is a brilliant day out to plan with family and friends! 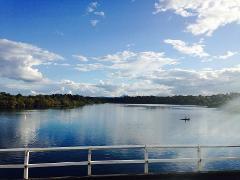 · Transport of people and kayaking equipment to Cabarita Lake with Watersports Guru. 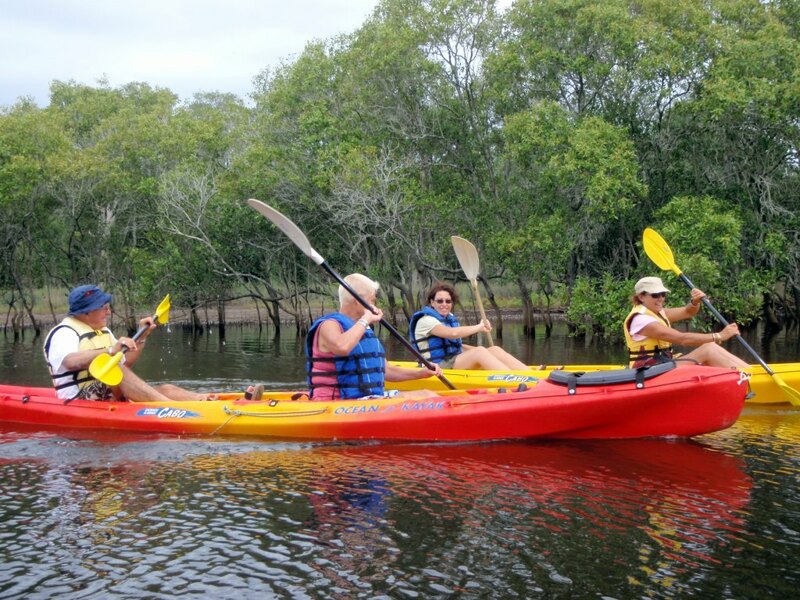 · The Guru will then give your group a safety briefing and paddling instructions, along with our Cudgen Creek Guidebook anddirections. · Head off to explore!! WHEN: Available twice a month. 18 must be accompanied by an adult.